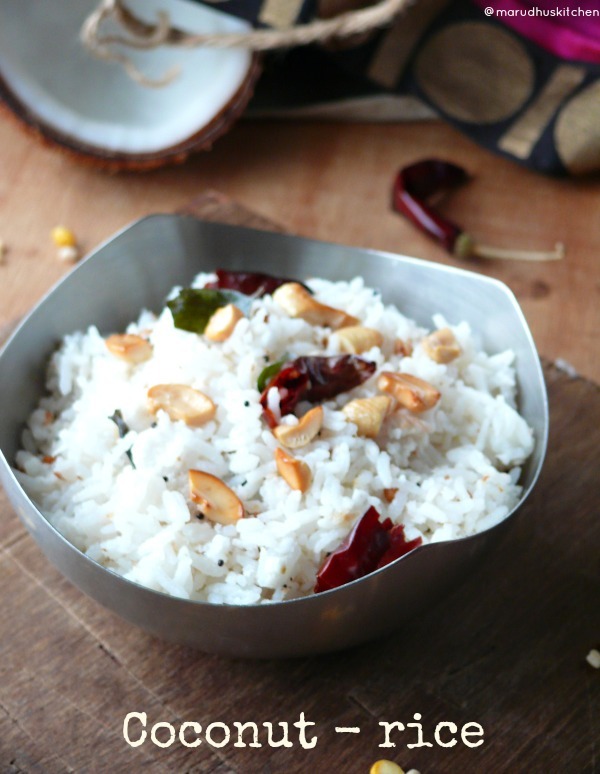 Coconut rice prepared with freshly grated coconut is always an ever inspiring delight in south Indian homes! 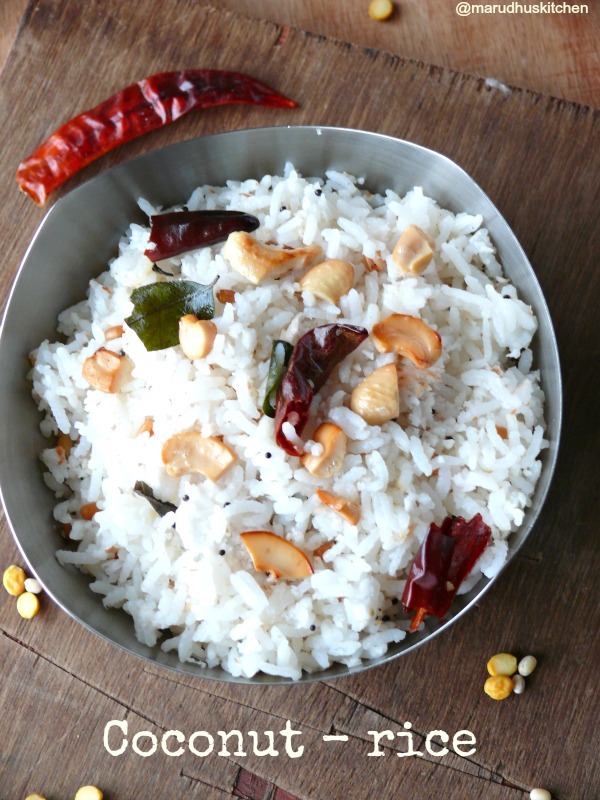 !because shredded fresh coconut and perfectly boiled rice are exact pair for this simple coconut rice recipe.As we know this festive variety rice is easy to make and it’s one my favorite lunch option’s during my college-days. Of-course I should say it is one of the fast foods!! 1.Pressure cook the rice and spread the rice on a plate. 2.Add little ghee to it and mix so that it does not stick together. 3.Now keep a kadai add oil,when hot add mustard and let it splutter. 4.Add urad,bengal gram dhal and leave it to brown. 5.Now add Chillies,salt ,asafoetida,curry leaves and mix,then add coconut and fry nicely. 6.Then add the rice and mix thoroughly for 5 minutes. 7.Switch off and add fried cashews. 8.Add little more ghee and mix. Pressur cook the rice and spread the rice on a plate. Add little ghee to it and mix so that it does not stick together. Now keep a kadai add oil,when hot add mustard and let it splutter. Add urad,bengal gram dhal and leave it to brown. Now add Chillies,salt ,asafoetida,curry leaves and mix. Then add coconut and fry nicely. Then add the rice and mix thoroughly for 5 minutes. Switch off and add fried cashews. Add little more ghee and mix. You can use both red and green chillies it is purely optional. 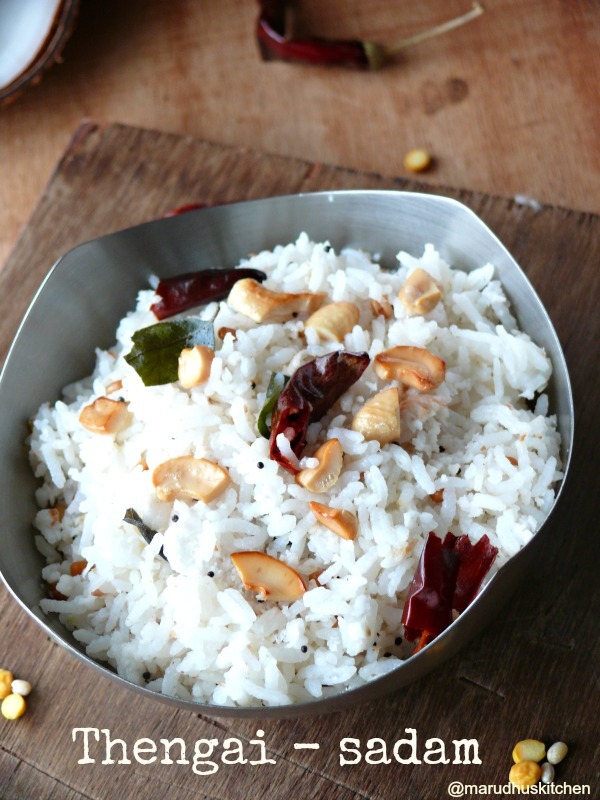 If you have grated coconut in hand it is a easy-easy work. Adding ghee increases the flavor of the dish.